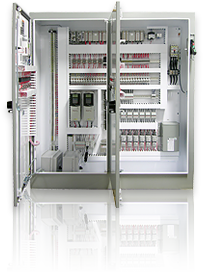 Long Bridge specializes in the construction of electrical control panels and automation specialties. The company has a unique approach to the procurement of hardware and the assembly of components according to specifications defined by our customers. Long Bridge employs highly skilled technicians who have many years of experience and specialized competence in the use of hand tools to assemble enclosures and wire-in components. In the majority of cases, the control panels being constructed by Long Bridge are unique, one of a kind products that will be tested to ensure compliance with CSA standards and be used by a large number of industries in a myriad of different applications.